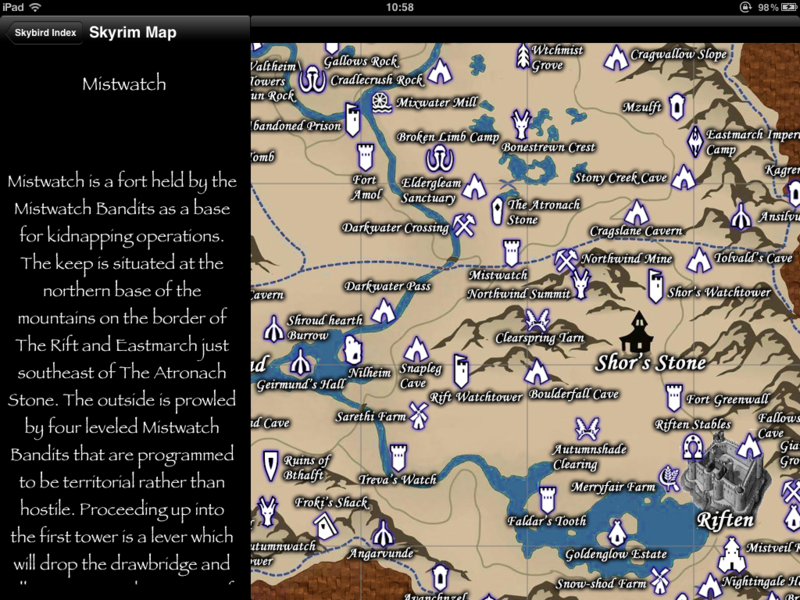 Skybird HD includes a fully-interactive map of the world of Skyrim. You can zoom in or out, pan around the entire map in either portrait or landscape, and tap any location to populate the left-hand pane with historical and strategic information about that location. Every major in-game location is included, and the details can be scrolled up and down in the info pane. An update to the map is planned, to enable you to store custom locations. All future updates will be free.